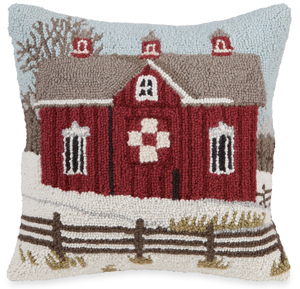 While you shop our Seating and Quilt Sale, take a look at these new must-have pillows and rustic wall art to complete your winter, farmhouse or every day look. 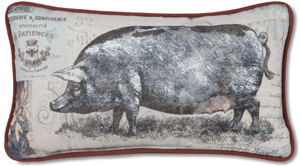 Artists Anne Tavoletti, Billy Jacobs, Suzanne Nicoll and Courtney Davis have all brought their own style and inspiration to our catalog with these accent pillows. 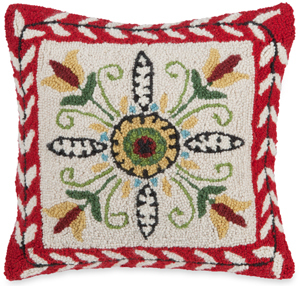 From hooked wool to soft linen-like fabric, primitive folk art imagery to pastoral charm, these pillows have something for everyone and every country home. 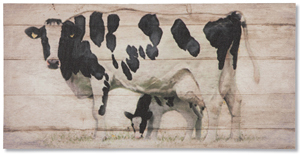 Primitive wood signs and canvas prints are a must have for any home, as they offer warmth and timeless appeal in their rustic design. 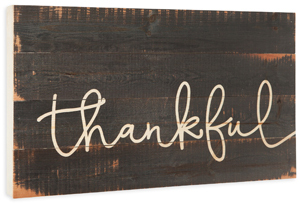 Our made in the USA Thankful Sign features distressing and beautiful lettering on wood boards, which are portrayed on canvas in Ben Gray’s Cow and Calf Print. 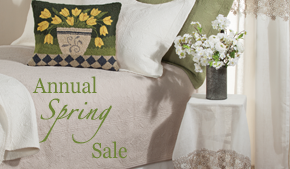 Both are perfect for your country farmhouse or contemporary home. This entry was posted on Monday, January 16th, 2017 at 8:44 am	and is filed under Americana, Art, Bedroom, Decorating, Dining Room, Made in the USA, Monday Must-Haves, Pillows, Seasonal Decorating, Thematic, Wall Decor. You can follow any responses to this entry through the RSS 2.0 feed. You can leave a response, or trackback from your own site.